Victor Oladipo has become the face of the Pacers franchise with a breakout season and well deserved All-Star berth. 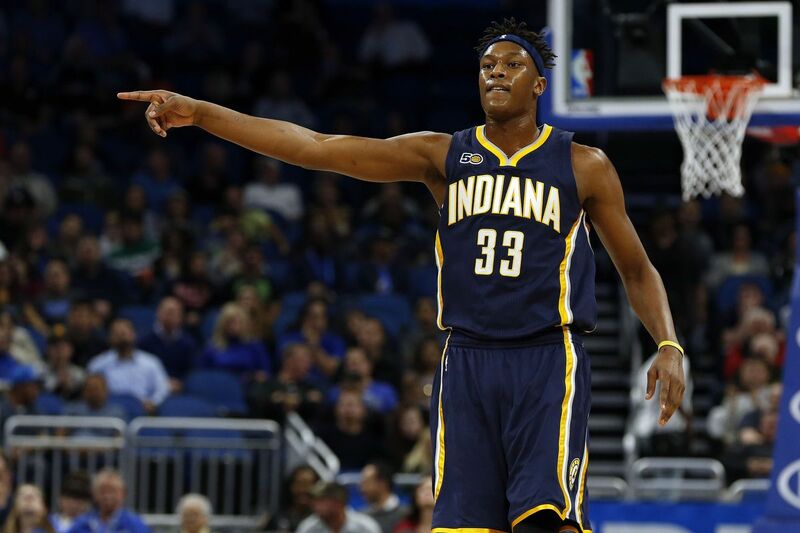 But 6-foot-11 center Myles Turner is Indiana’s second-best player and a huge key. Turner played for the first time in 10 games two days ago. Turner logged just 11 minutes and was noticeably rusty in the Pacers’ 114-112 home win against Orlando. Turner should be less rusty here. His presence is going to be huge for the Pacers even if he doesn’t score because he provides spacing and open driving lanes for Oladipo, Thaddeus Young, Darren Collison and a hot Lance Stephenson, who plays better at home and is 19-of-34 shooting from the floor in his last four games. Turner can neutralize Dwight Howard on the defensive end, too. Turner ranks second in the NBA in blocked shots per game. The Pacers have become a respectable middle-of-the-road type team at 27-23. The Hornets continue to regress and are unlikely to make the playoffs once again. They are 20-28 and talking about dealing their star guard, Kemba Walker. Charlotte is 6-14 on the road. Only Atlanta has fewer away victories in the Eastern Conference than the Hornets. Charlotte went 0-2 at Indiana last season losing by an average of 18.5 points. The Hornets carry a high fatigue rating in action for the fourth time in six days. This is the first time the teams are meeting this season. Charlotte hosts Indiana on Friday. So the Pacers should have the added urgency of protecting their home floor.